Here is what Dr. Mercola says in his article "Scrubbing Yourself Clean and Purging Germs… But At What Cost to Your Health?" Did you know that applying a substance to your skin isn't much different from eating it? In fact, I believe it may be even worse. When you consider that products such as shower gels and soaps may be used daily, you can imagine the chemical residue that may build up over the years. What's in Your Bottle of Shower Gel and Liquid Hand Soap? Take a second and grab a bottle of your liquid hand soap or shower gel. Typically the main ingredient listed in bath and shower gels. Functions as the liquid solvent for the other ingredients. 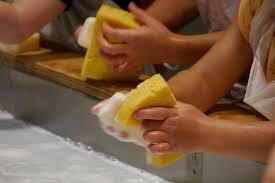 Act to increase foam and provide thickening for bath gels, giving them their gel-like consistency. Used to clean the skin. Create a lather or foam when the bath gel or liquid soap is applied to the skin. 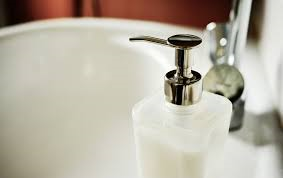 Extend the shelf life of bath gels and liquid soaps and prevent microbial contamination. Most shower gels contain fragrance to cover up the chemical smell of other ingredients and to help make using the shower gel a pleasing experience. 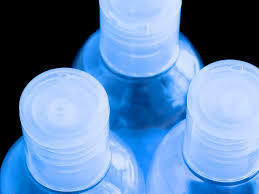 Most fragrances used in shower gels are synthetic. Some may be derived from essential oils and plant extracts. Certain chemical ingredients can potentially cause problems for your skin when applied as a liquid or bar soap and are best avoided. Sodium lauryl sulfate is a surfactant, detergent, and emulsifier used in thousands of cosmetic products, as well as in industrial cleaners. Present in nearly all shampoos, toothpastes, body washes, and cleansers, liquid hand soaps, laundry detergents, and bath oils and bath salts. Although SLS originates from coconuts, the manufacturing process results in SLES/SLS being contaminated with 1,4 dioxane, a carcinogenic byproduct. SLS is the sodium salt of lauryl sulfate, and is rated by the Environmental Working Group's (EWG) Skin Deep Cosmetics Database as a "moderate hazard." SLS breaks down the skin's moisture barrier, easily penetrates the skin, and allows other chemicals to penetrate by increasing skin permeability by approximately 100-fold. Combined with other chemicals, SLS becomes a "nitrosamine," a potent class of carcinogen. Research studies have linked SLS to skin and eye irritation, organ toxicity, reproductive and developmental toxicity and endocrine disruption. Common in a wide range of products as part of PEG, Polysorbates, Laureth, and ethoxylated alcohols. These compounds are usually contaminated with high concentrations of highly volatile 1,4-dioxane which is easily absorbed through the skin. This "probable carcinogen to humans" substance has received a "high hazard" rating from EWG's Skin Deep and is especially toxic to your brain, central nervous system, kidneys, and liver. A synthetic derivative of coconut, watch for misleading language on labels, stating "comes from coconut." Avoid any product with indications of ethoxylation, which include: "myreth," "oleth," "laureth," "ceteareth," any other "eth," "PEG," "polyethylene," "polyethylene glycol," "polyoxyethylene," or "oxynol," in ingredient names. Widely used as preservatives in an estimated 13,200 cosmetic and skin care products. 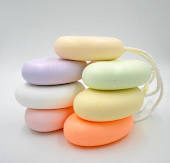 Parabens have hormone-disrupting qualities, mimicking estrogen, and interfere with the body's endocrine system. Studies have shown that parabens can affect your body much like estrogens, which can lead to diminished muscle mass, extra fat storage, and male breast growth. The EPA has linked methyl parabens in particular to metabolic, developmental, hormonal, and neurological disorders. A common ingredient in personal care products, it's been shown to cause dermatitis, kidney or liver abnormalities, and may inhibit skin cell growth or cause skin irritation. Also found in engine coolants, antifreeze, rubber cleaners, adhesives, and paints and varnishes. DEA readily reacts with nitrite preservatives and contaminants to create nitrosodiethanolamine (NDEA), a known and potent carcinogen. DEA also appears to block absorption of the nutrient choline, vital to brain development. 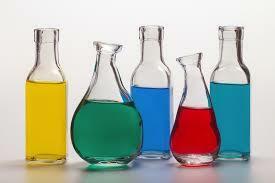 Toluene, made from petroleum or coal tar, is found in most synthetic fragrances. Chronic exposure is linked to anemia, lowered blood cell count, liver or kidney damage, and may affect a developing fetus. Synthetic fragrances can also be drying and irritating to your skin. 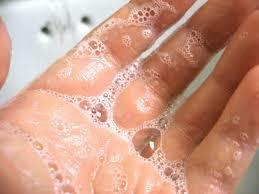 The antibacterial agent added to many liquid hand soaps to help kill germs. Triclosan is suspected of contributing to the growing problem of antibiotic resistance. Here's something else you may not know about that innocent-looking bottle of liquid hand soap sitting next to your sink. When triclosan mixes with the chlorine in your tap water, chloroform is formed, which the Environmental Protection Agency (EPA) has classified as a probable human carcinogen. And when combined with other disinfection byproducts (DBPs) in your tap water, this chloroform can raise the concentration of dangerous trihalomethanes (THMs) above the EPA's maximum allowable amount. Trihalomethanes (THMs) are Cancer Group B carcinogens, meaning they've been shown to cause cancer in laboratory animals. Disinfection byproducts (DPBs) have also been linked to reproductive problems in both animals and humans. Not only do you absorb them into your skin, these antimicrobial chemicals flow down your drain, contaminating the environment and food chain. So, let me ask you… do you really want to put triclosan, SLS, parabens, dioxane, DEA, toluene, synthetic fragrances, and propylene glycol (along with other chemicals we haven't even talked about here) on your skin? In my opinion, you're better off switching to skin care products made of plant names you recognize, can pronounce, and could even eat (if you had to).